A self-described former “die-hard cheese nerd,” Kristy Turner is now the writer, recipe developer, and food stylist behind the vegan food blog Keepin’ It Kind. 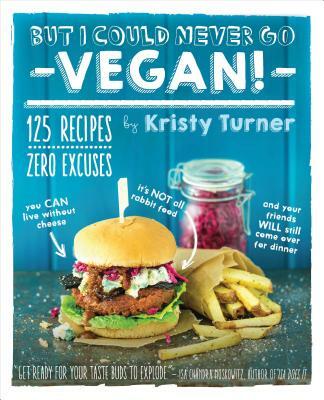 Once a professional fromagier and mutterer of the words, “I could never be vegan,” Kristy now loves her compassionate lifestyle and works with her photographer husband, Chris, to make veganism accessible, fun, and delicious for everyone. She lives in Marina del Rey, California. —Randy Clemens, author of The Sriracha Cookbook, The Veggie-Lover’s Sriracha Cookbook, and The Craft of Stone Brewing Co.